The cloister watch by WatchCraft has hand-painted dial in a large rectangular brass case. 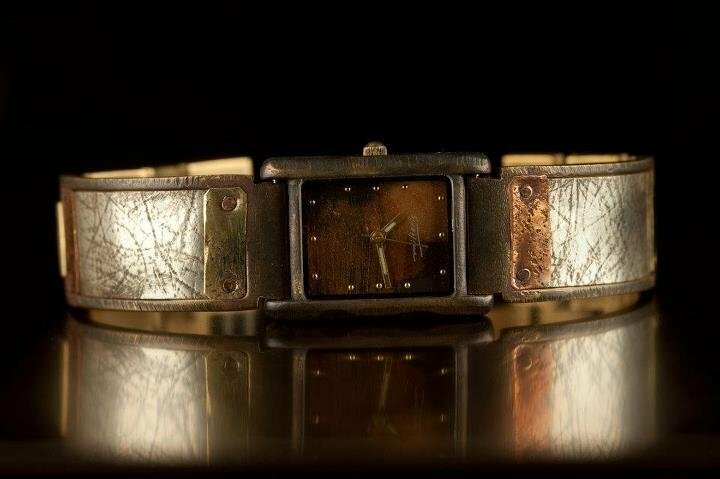 It has a wide sterling silver band with a copper-textured design, featuring copper and brass details.Every watch is hand sculpted and painted individually, so each has its own unique variation. We have the tools and materials to adjust the size of this piece. Please include wrist size when ordering.